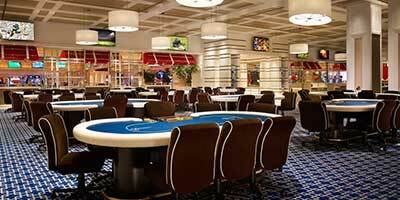 Legal US Poker Sites | Is Poker Legal in Your State? 1.1 Is Online Poker Legal in the United States? Contrary to what many people, there is actually no federal law in the United States that strictly prohibits US players playing for real money online or making accounts to do so. 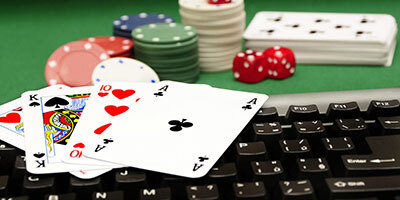 However, for individual states where online poker is legal, that’s when things are slightly more complicated. And that’s not the most confusing part: Some states have laws regarding gambling that are either outdated or don’t actually target US poker sites and on top of that, there’s the controversial UIGEA act that—in short—prohibits US states from processing transactions related to unlawful online gambling. Even though laws around online gambling can be confusing at the best of times—especially for real money online poker—our team of experienced industry veterans at Online Poker America compiles this data and maintains an up to date list of legal US online poker states so you have all the information you need to play safely, securely and most importantly within your legal freedom. For your convenience we’ve assorted every US state on our map into three categories so you can see if poker is legal in your state and learn more about its progression. Every update that our editors learn of comes through this list first. Remember, if online poker isn’t fully legal in your state, you may still be able to play while staying on the right side of the law and if it’s still illegal you may still be able to participate in alternative forms of gambling such as horse racing, state lotteries or online poker using fake money so check out the list below and stay abreast any updates our editors we give you instantly through this list; 24/7, all year around. Illegal in your state? No problem – it is still legal to game on fun play money poker sites. With the constant rise of online poker players and iGamers in general, it’s no surprise that the online gambling industry collectively generates billions of revenue in the USA alone. In 2017 the online gambling market hit $47.11 billion in revenue. Experts predict that the number will increase to at least $81.71 billion by 2022 in the States and it’s expected to reach an enormous global revenue of $1 trillion. Check out the infographic for some interesting facts! After you’ve checked the US states where online poker is legal, it’s also important to make sure you’re old enough to play because the age requirement changes depending on where you play. The majority of states require you to be 21 and over, however there are a handful where it’s legal to play as long as the individual is at least 18 years old. Refer to the tables below for more information on the legal gambling age for online poker and land-based poker. While our editors will always do their best to find accurate information, we still advise you as a player to educate yourself further on your individual state laws when it comes to gambling and always gamble responsibly. This state page is intended for your convenience but at the end of the day our editors are not lawyers and should be treated as such - so if you’re seeking legal advice, make sure to consult a professional lawyer and only use this page as an opinionated guide and source of further reading.